The Brazil national football team represents Brazil in international football and is controlled by the Brazilian Football Confederation. They are the most successful national football team in the history of the World Cup, with five championships (1958, 1962, 1970, 1994, 2002). A common quip about football is: "The English invented it, the Brazilians perfected it". Currently ranked second by FIFA, Brazil is consistently among the strongest football nations by Elo Ratings and is the only team to have played in every World Cup. 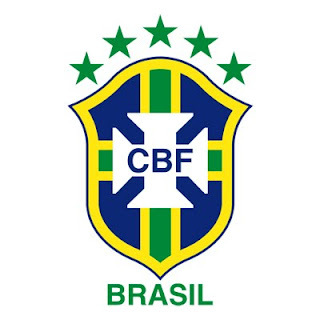 Brazil hosted the 1950 FIFA World Cup which was the first tournament to be held after World War II. It is the only time Brazil has hosted the tournament to date (not counting the upcoming 2014 tournament). The 1950 tournament was unique in not having a single final, but rather a final round-robin stage of four teams; however, for all intents and purposes the deciding game between Brazil and Uruguay acted as that tournament's "final". The match was hosted at the Maracanã stadium in Rio de Janeiro, watched by 199,854 people, and Brazil only needed a draw to win, but lost the match 2–1 after being 1–0 up; this match has since been known in South America as "Maracanazo". In Brazil it is called "Final Fatídica" ("fateful final"). For the 1954 FIFA World Cup, in Switzerland, the Brazilian team was almost completely renovated, so as to forget the Maracanã defeat, but still had a group of good players, including Nílton Santos, Djalma Santos, and Didi. Brazil didn't go very far though. The quarterfinals saw the favorites Hungary beat Brazil 4–2 in one of the ugliest matches in football history, which would become infamous as the Battle of Berne. Brazil's coach, Vicente Feola, imposed strict rules on the squad for the 1958 FIFA World Cup, held in Sweden. The players were given a list of forty things that they were not allowed to do, including wearing hats or umbrellas, smoking while wearing official clothing and talking to the press outside of allocated times. They were the only team to bring a psychologist (because the memories of 1950 still affected some players) or a dentist (for, because of their humble origins, many players had dental problems, which caused infections and also had negative impact on performance) with them, and had sent a representative to Europe to watch the qualifying matches a year before the tournament began. In the 1962 FIFA World Cup, Brazil got its second title with Garrincha as the star player; a mantle and responsibility bestowed upon him after regular talisman, Pelé, was injured during the first group match against Mexico and unable to play for the rest of the tournament. Brazil won its third World Cup in Mexico in the 1970 FIFA World Cup. Brazil fielded what has been considered to be the best football squad ever, led by Pelé in his last World Cup final, captain Carlos Alberto, Jairzinho, Tostão, Gérson and Rivelino. After winning the Jules Rimet Trophy for the third time Brazil were allowed to keep it for good. Brazil, to the surprise of many, went 24 years without winning a World Cup or even participating in a final. Their struggles ended at the 1994 tournament in the United States, where a solid, if unspectacular side headed by the likes of Romário, Bebeto, Dunga, Taffarel, and Jorginho won the World Cup for a then-record 4th time. Highlights of their campaign included a 1–0 victory over the hosts in the round of 16, a sensational 3–2 win over the Dutch in the quarter-finals (often cited as the game of the tournament) and a 1–0 win over the Swedes in the semis. This set up a classic confrontation, Brazil vs. Italy, in the final. After a dour and unexciting 0–0 draw, penalty kicks loomed, and when Roberto Baggio lifted his spot kick over the crossbar, Brazil were champions once again. A new era of dominance had begun. Fuelled by the scintillating play of the "Three R's" (Ronaldo, Rivaldo, and Ronaldinho), Brazil won its fifth championship at the 2002 FIFA World Cup held in South Korea and Japan. When the groups were drawn, Brazil seemed to have been lucky; Their adversaries would be Turkey, China and Costa Rica. At the end, it turned out that Turkey finished the tournament in third place. Brazil went on beating all three opponents, scoring 11 goals and conceding only three, and topping the group. The final was between two of the most successful teams in the competition's history: Germany and Brazil. Incredibly, the teams had never played each other in the World Cup before, besides a match between Brazil and East Germany in the 1974 FIFA World Cup. German goalkeeper Oliver Kahn had been the tournament's best keeper, but could not maintain that level of play, as Ronaldo vanquished his France '98 demons, scoring both goals in the Brazilian 2–0 triumph.